Niko obtained his Series 7 and 66 securities registrations as well as his Life and Health Insurance license. Combining his experience in the back end of Barnum’s business model with his education and licenses has prepared him to enter the front lines of the business with a well-rounded view of the industry and its workings which truly allowed him to become a specialist in his field. 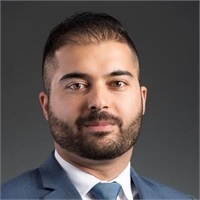 He is also dedicated to the financial education of our clients and leverages his experience in the industry by conducting educational seminars on the importance of retirement planning and how to utilize various vehicles and products that help protect our client’s financial future.